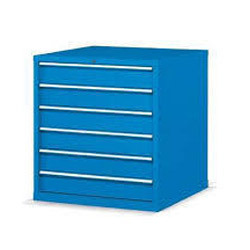 Our product range includes a wide range of bin shelving, personal locker units, mobile lockers, slotted angle shelving, heavy duty shelving and tools storage cabinets. domain by providing Bin Shelving. Comes with label area provide fast access and easy content identification, these easy-to-assemble open shelves feature anti-sway bracing for secure bin storage Offered bin shelving is designed with the help of top quality basic material and modern techniques by our professionals. Also, our offered bin shelving is strictly tested by our quality controllers so as to deliver defect free range. 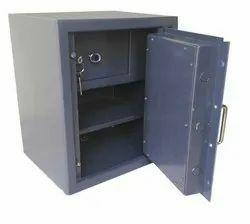 we are leading supplier of Mobile Lockers in and around Chennai location . We are regarded as the leading brand offering Slotted Angle Shelving. 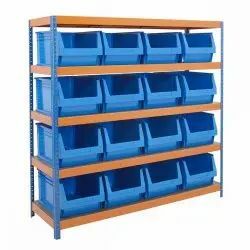 The offered angle shelving is manufactured by using quality tested material and advance techniques in accordance with set industry standards. Each loading level can be divided into compartments depending on customers need. 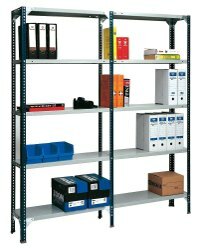 Provided angle shelving can be covered from all sides and backs to prevent spillage of material. The system can be covered from all sides and backs to prevent spillage of material. Coverings are available with following options. 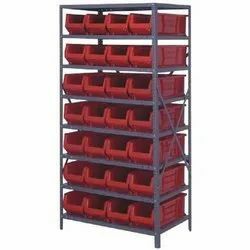 Our organization has gained recognition as the affluent manufacturer, wholesaler, trader & supplier of qualitative Heavy Duty Shelving which is easy to use and do not need much maintenance and care. The offered shelving is manufactured by using industry proven basic material and the latest technology by our skilled professionals. 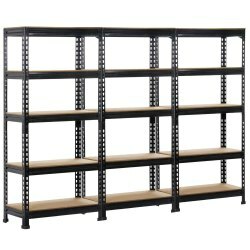 We offer this shelving is in different customized options in order to cater customer’s requirements. Its simple design and subtle color will surely make any space. Looking for Storage Shelves ?